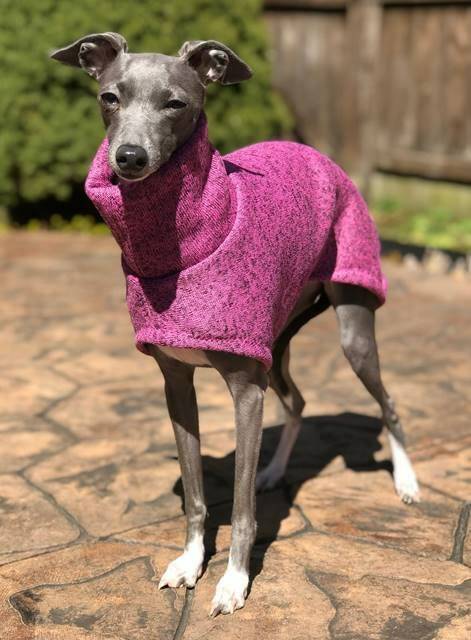 Italian Greyhound Sweater. Created by popular demand: the LONG Sweater Coat (meaning, it covers the rear)! 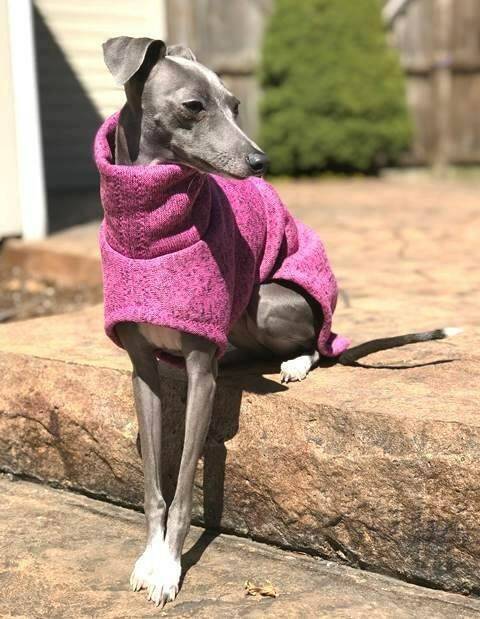 Willow (pictured) is sitting pretty in the Long Pink Sweater Coat. 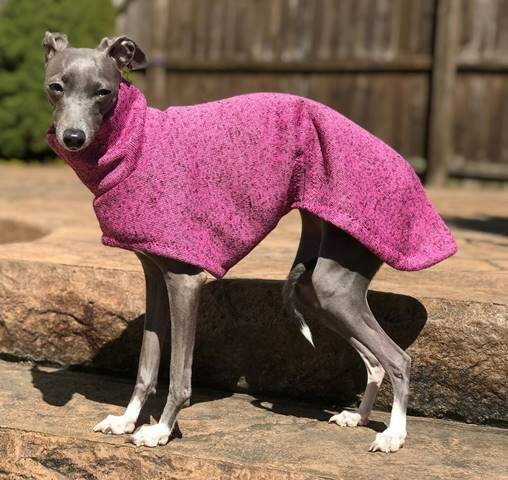 Made of soft sweater fleece fabric that has stretch for your hound’s comfort. The outside feels like a sweater and the inside is soft fleece. Mock turtle neck. 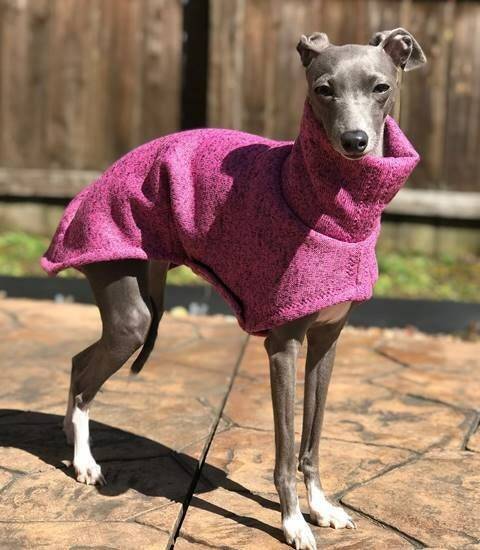 Perfect for keeping warm on chilly walks or hanging around the house. Small = Fits Girth of 17 -18" inches (largest circumference of chest). 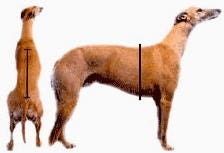 Length is 18" inches (base of neck to base of tail). Medium = Fits Girth of 18.5"-20" inches (largest circumference of chest). Length is 19" inches (base of neck to base of tail). Large = Fits Girth of 20.5" - 22" inches (largest circumference of chest). Length is 20" inches (base of neck to base of tail).